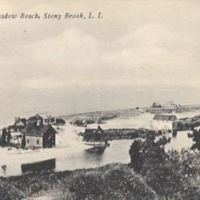 West Meadow Beach, Stony Brook, L.I. 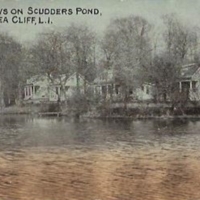 Cottages along Shore of Town Creek Southold, Long Island, N.Y.
Cottages on Sculder’s [misspelled] Pond, Between Glenwood and Sea Cliff, L.I. 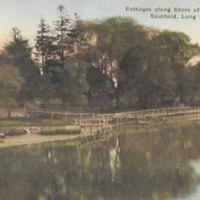 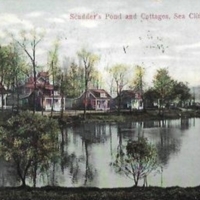 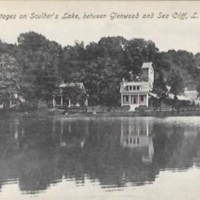 Scudder's Pond and Cottages, Sea Cliff, L.I. 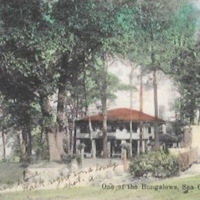 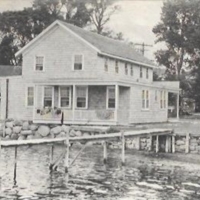 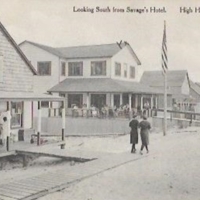 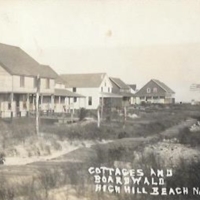 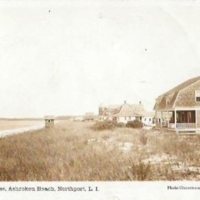 Edgewater Cottage, Orient, L.I., N.Y.
Cottages, Ashroken [misspelled] Beach, Northport, L.I.